Who says Pizza has to have cheese and pizza sauce? This great alternative tastes delicious and has none of those! We added some Tutto Calabria hot spread sauce to my hummus for a bit of extra heat. 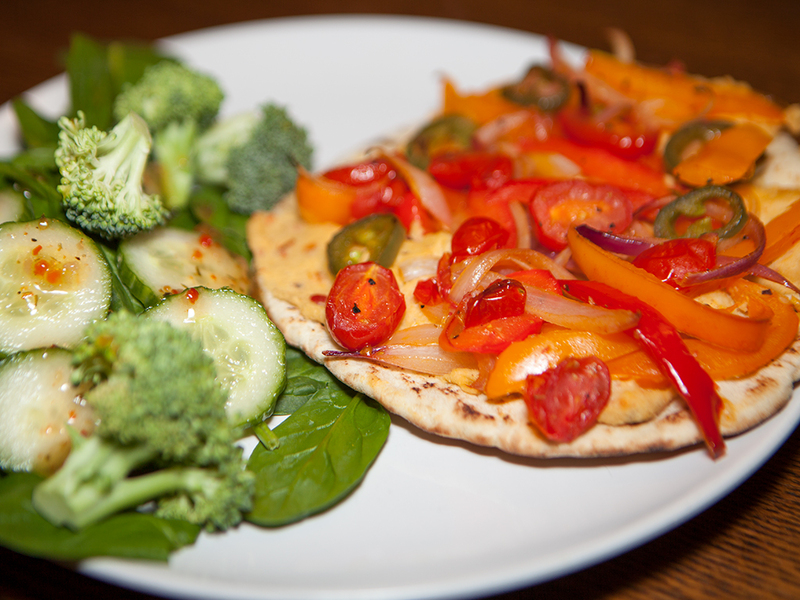 In this recipe I used my homemade hummus for the base of my pizzas. You can use store bought if pressed for time. I mixed the 1 tbsp Tutto Calabria into my hummus before spreading on the pitas. Ensure that your pitas are vegan! Not all Pitas are vegan as some contain honey or sugar. Place all the cut up vegetables in a bowl. Coat them in olive oil salt and pepper to taste. Spread the vegetables out on a baking sheet. Bake them for 15mins at 375F. 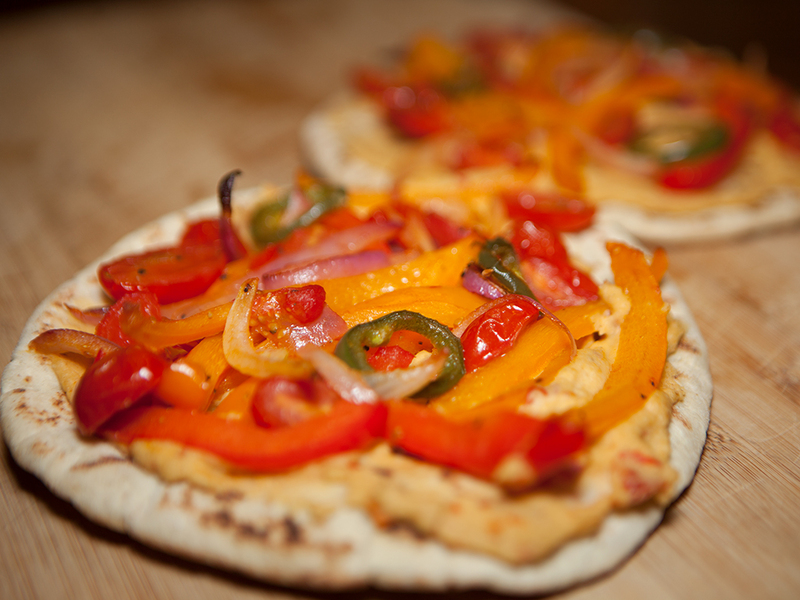 Place the pitas on a baking sheet spread hummus around the pita. Bake in oven at 375F for another 10 minutes until the pita bread gets crispy.